While setting up for this picture I first noticed that the experiment would not go as planned. So what happened? 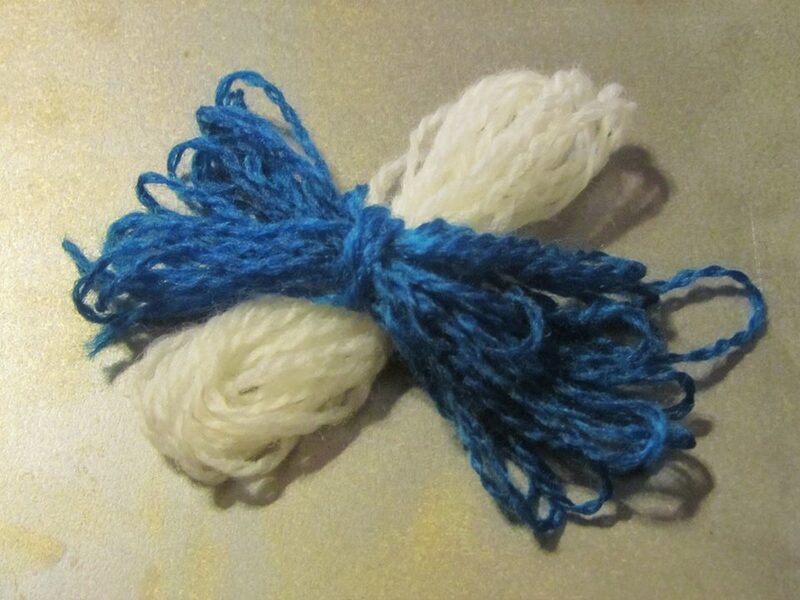 Why did both skeins of yarn take up color? 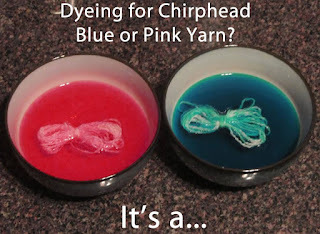 We know that Easter Egg Dyeing Kits have enough acid to add color to yarn, but that the addition of acid early in the process allows the color to absorb much faster. It turns out that both dyebaths were acidic (as measured by litmus paper), although I do not know at this point whether it is due to the food coloring or the tap water used. The dye was also fairly concentrated for the amount of yarn used, so this could have also affected the outcome. Repeat the above experiment but add vinegar to the pink dyebath and not the blue. Since the video didn't work out as expected, I had to "cheat" to create our gender announcement for facebook.